“I took my cigarettes and threw them away. I rolled up twenty joints and put them in the cigarette package, and every time I wanted a cigarette, I smoked a hit or two off a joint instead. 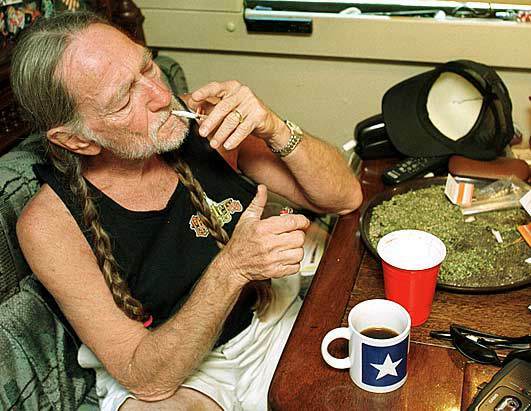 One joint would last all day and it worked for me.” (Roll me up and smoke me when I die: Musings from the road [New York: HarperCollins, 2012] p. 121). Today is Nelson’s 80th birthday! Below, the book’s namesake.